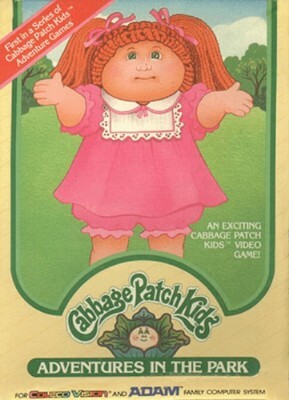 Cabbage Patch Kids: Adventures in the Park (Colecovision & Adam, 1984) Tested! Cabbage Patch Kids: Adventures in the Park (Colecovision & Adam, 1984) - Tested! Cabbage Patch Kids: Adventures in the Park (Colecovision & Adam, 1984) - WORKS! !